This is one of my early decoupage projects. I had a very old clock. It’s not an antique clock. Rather it is an old Soviet time vintage clock. It’s a wood clock. The wood box has almost fallen apart, so I have to restore it. Here is what I got. And here is how this olc clock decoupage project has started. Unfortunately I have lost some of the photos I made. 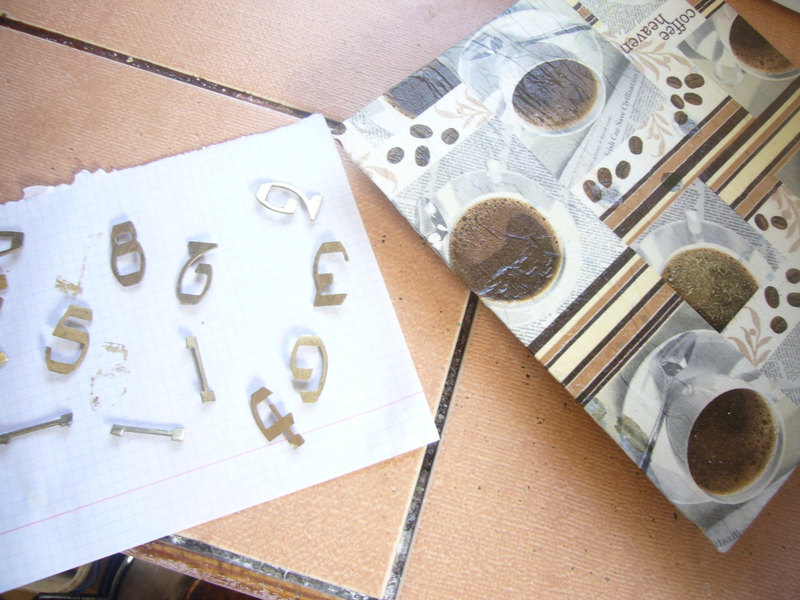 I had to reglue the wooden box of the clock and apart its clock work and dial plate. I had to clean and repaint the dial plate. I have also removed all the digits from it. Then I decoupaged it with coffee pattern napkin. I have also placed back all the digits. But, I had to throw away the clock work as it was beyond repair. So, I got a new cheap wall clock, took out its clock work and installed it in this old clock. 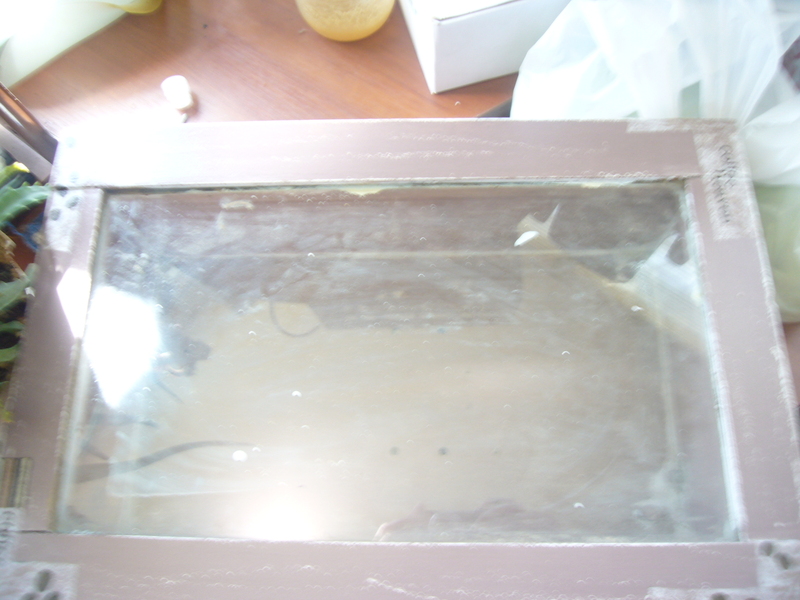 I have used the paint scotch to cover up the window pane in the clock and then repainted it with water based white paint. I let it dry and then applied a bit of candle wax on the edges and angles of the wood clock box. 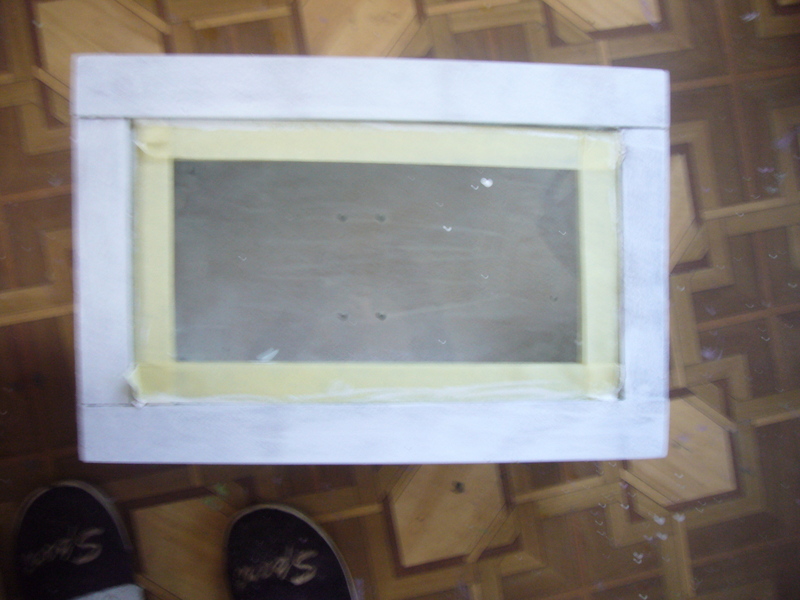 Then I have repainted it in a different color, let it dry well and easily scrubbed off some of the paint. That is how you get shabby chic effect on your wood decoupage projects. Finally, I have decoupaged the wood box in few places and installed the dial plate back into it. 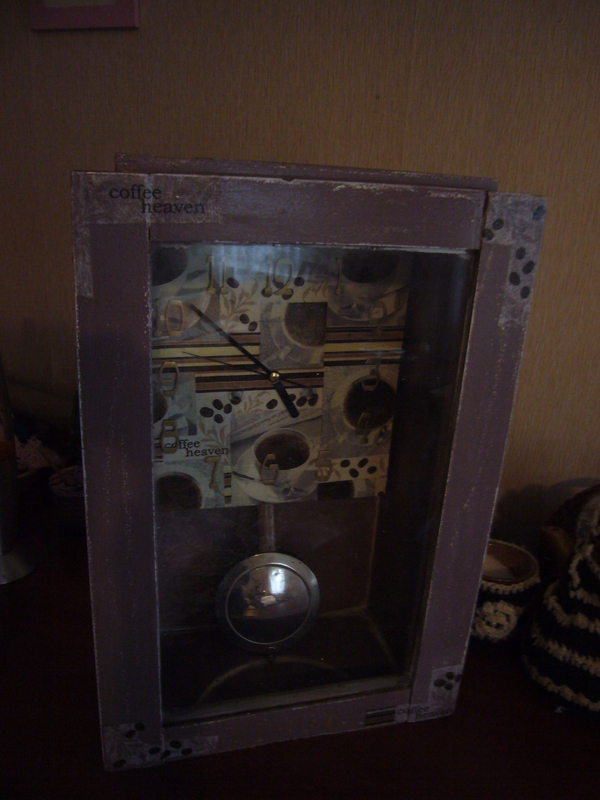 I have also covered the clock with few layers of transparent polish. That is it. It’s a pretty simple decoupage and restoration project and clock decoupage tutorial. Since the pendulum in this vintage clock does not work, I plan to use it as my kitchen wall clock and my coffee box, too. I’ll store coffee supplies in it. So, it’s a nice upcycling idea, too. This entry was posted in Uncategorized and tagged clock, clock decoupage tutorial, clock restoration, coffee clock, crafts, creative tips, decoupage, decoupage ideas, decoupage step by step, decoupage tips, DIY, green living, handmade, home decor, home design, mod podge, tips for moms, upcycling, vintage clock. Bookmark the permalink.